It is difficult to argue that one of the main reasons why many people visit the Kruger National Park is to see the Big 5. There are certainly more reasons than this to visit South Africa, and to go to the Kruger National Park. But seeing the Big 5 in person is a whole different experience. We’ve all seen these animals in books, magazines and on TV, but seeing them in their natural habitat is an indescribable experience. Kruger National Park safaris cater to all travellers, and are made truly exceptional when those looking to catch sight of the lion, an animal that is royalty in every African nation, actually see one. The lion might be the king of the jungle, but he is also the king of the great savannah plains, the dry grass lands and the river beds. Whenever the lion is spotted, it’s a thrilling occasion. This majestic beast has a legacy all of its own, with stories and myths surrounding his name. 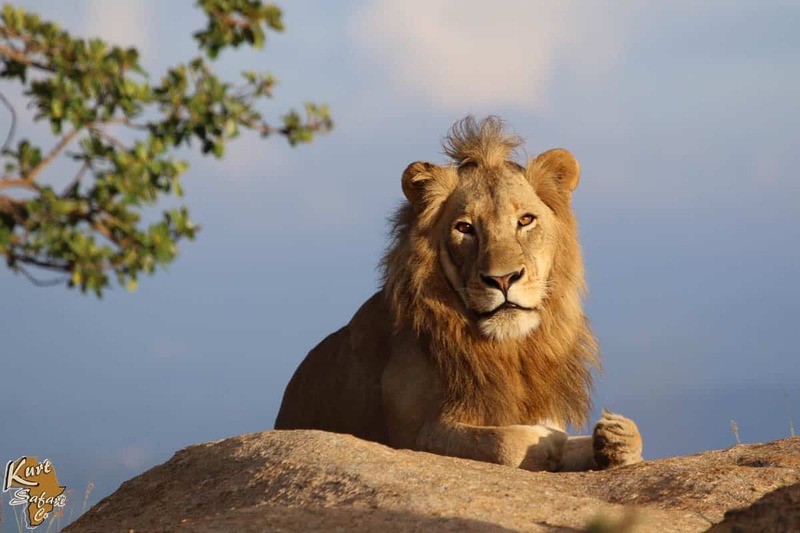 The African lion is found in numerous countries across the continent, but it is in South Africa, on your Kruger National Park safaris, that seeing the lion becomes a highlight of the whole trip. Lions are not indigenous to Africa. Once they roamed as far as Iraq, Pakistan, and Israel. These populations have become extinct and today your safest bet to see the lion is in Africa. Its legacy is one of the reasons why most visitors to the Kruger National Park hope to see this animal in particular. Although all of the other animals that make up the Big 5 are just as amazing, it is the lion, with his bushy mane and ferocious roar, that guests have on their bucket list. While there was once a time when lions were abundantly found across the continent, today their numbers have dwindled. 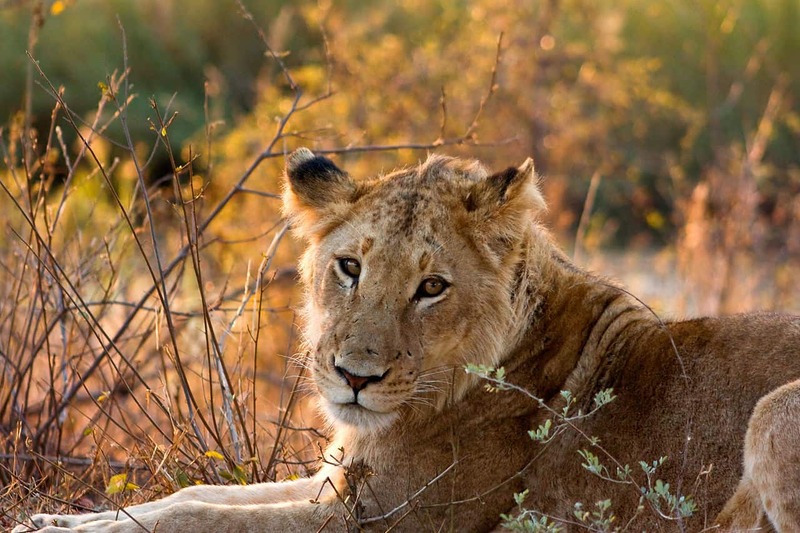 There are only around 30 000 lions left in the sub-Saharan wild, and a great segment of that population can be found in the Kruger National Park. Conservation efforts keep them confined to eco areas where they can be kept safe. You could catch sight of them in bushy areas of the park, but the lion prefers to spend its day out on the grassy plains. They are not tree animals and are often spotted in the southern areas of the Kruger National Park. Safaris keep a keen lookout through the often tall grass when travelling slowly through this area. More grass and vegetation means more prey. 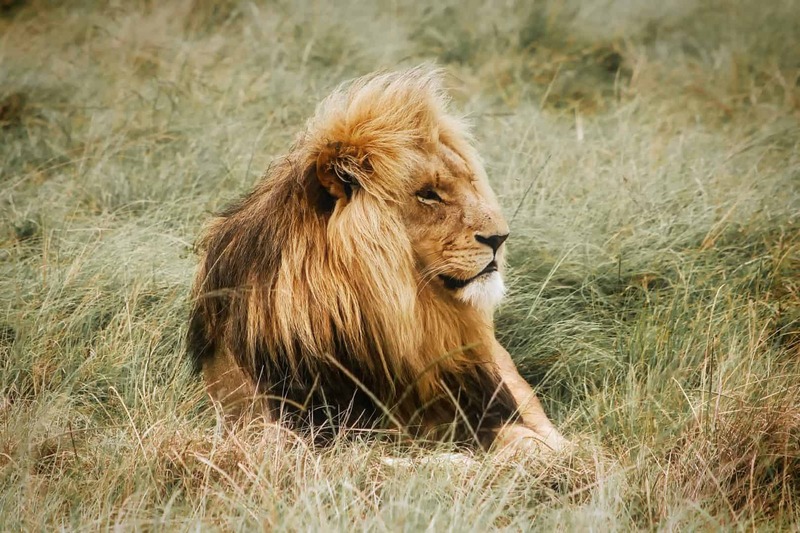 As the lion is a carnivore, their density is often determined by how much of their prey is within an area. Lions are social animals and they live in families known as a pride. The female lions rule the family and will usually stay with the pride while the younger male lions will wander off to find a new pride or form their own. It’s a game of dominance with the male lions, often skirmishes leave them battered and torn as they fight for the role of alpha. Scars will often give away the age of a male lion. The size of the pride is often determined by the number of females. Seeing as the males are nomadic, counting the females is the best way to get a stable and more or less accurate number of family members. At around 4 years, female lions will begin breeding. They can give birth to litters of between 3 to 4 cubs, and communal care is a well-known phenomenon. As the females of the pride will usually give birth at around the same time, they take turns in caring for the young. This ensures that the young cubs are always cared for. While they are not known for being the most active animals during the day, lions are known to walk up to 20km during day light should they need to. Kruger National Park safaris head out in the early morning or early evening when in search of lions, especially during the summer months. These are the hours when they are most active. You are unlikely to spot lion during rainy weather as they are prone to hiding away. They put their backs to the direction in which the rain is coming, as a means to staying dry. In African mythology, the lion has always been a rather imperial animal, ruling over others, throwing his weight around, and even being a menace to villages. When you see a lion in the flesh, you’ll understand the majesty surrounding these gorgeous beasts. Have you always dreamed of seeing a lion in Africa?